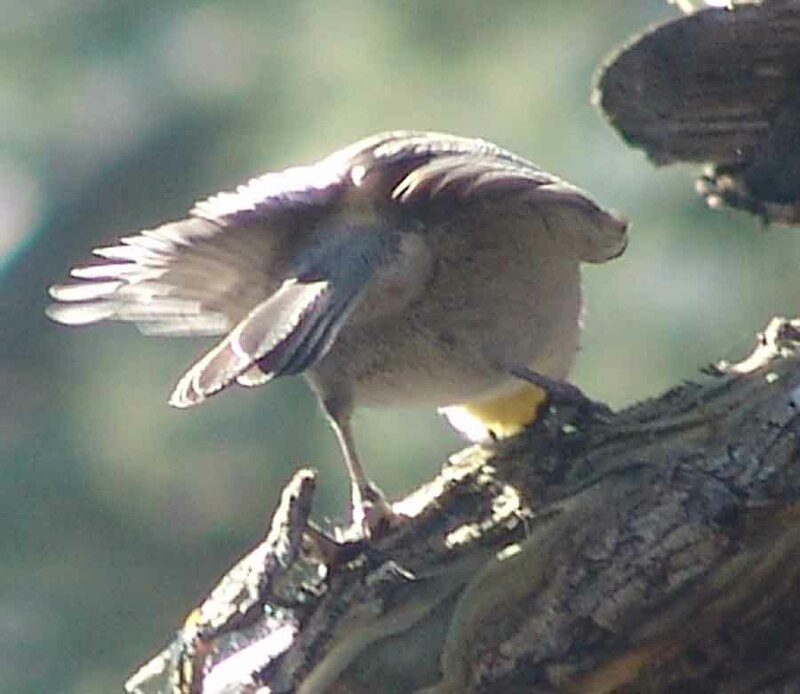 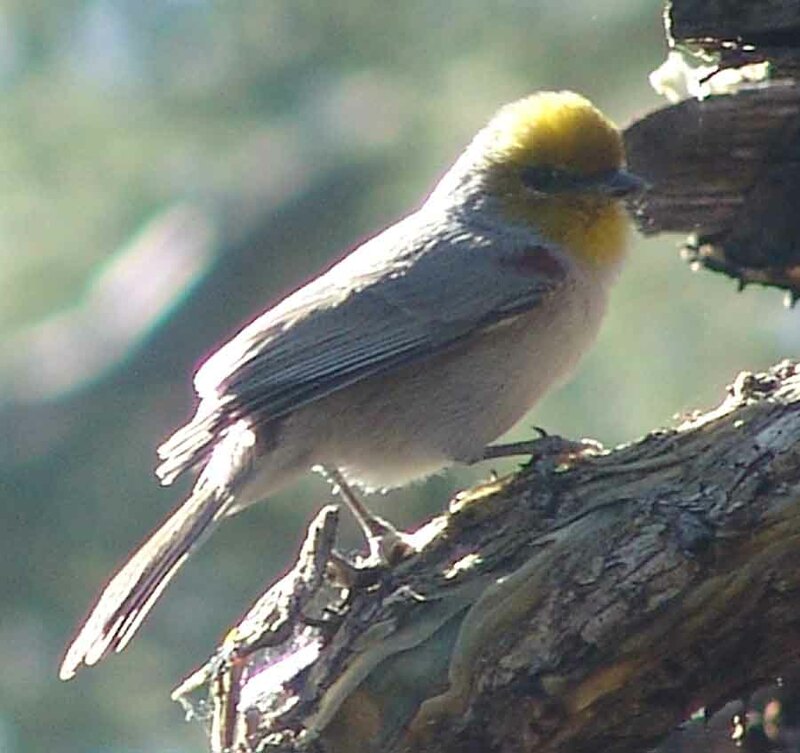 The three images above show a single adult female Verdin, fluffed up on a cold morning in November 2006. (Click on each image to enlarge it.) 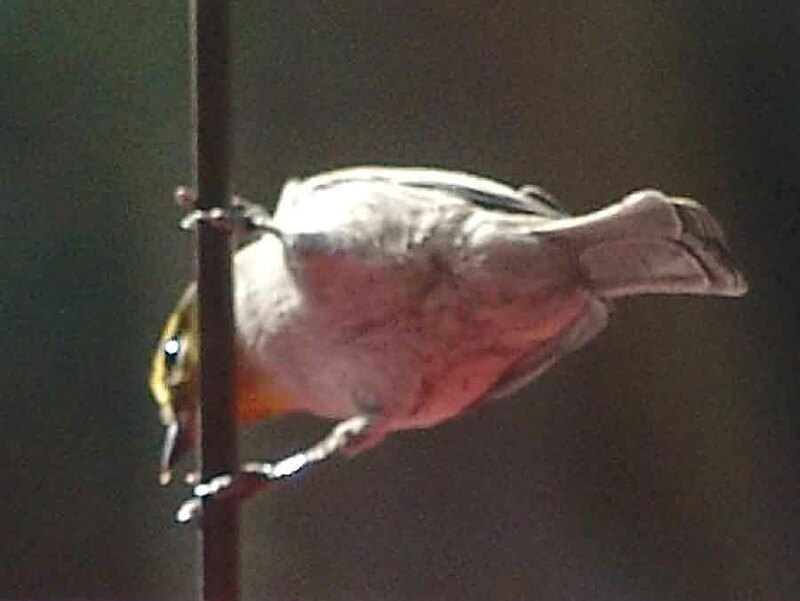 The central photo shows the diagnostic features of this small (4.5" long), chickadee-like, very active bird, which was accompanied by a male consort. 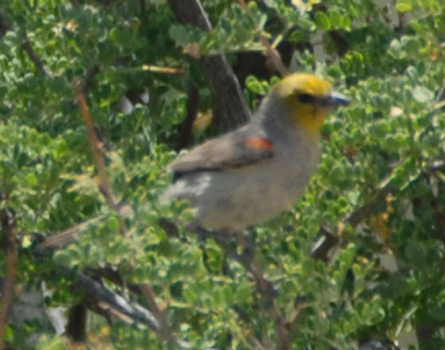 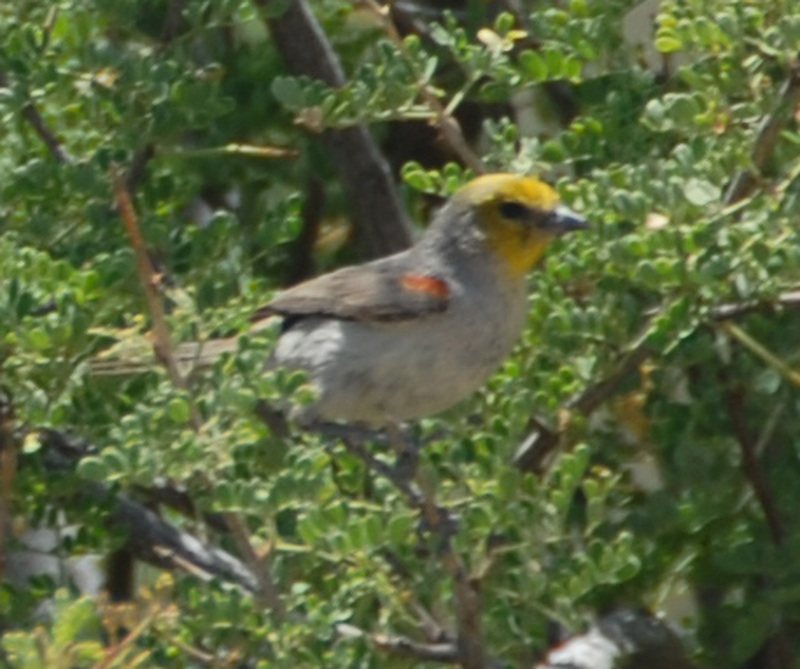 The gray body, yellow face (an almost fully yellow head on the male), sharp-pointed bill, and rufous shoulder marking (barely visible here in shadow in the central picture, looking triangular and located just below the yellow chin) distinguish this bird from all others.